Installing a new roof is one of the biggest home improvements you can make to add value and lifespan to your home. So there should be no fiddling around when trying to decide what type of shingles to choose for your roof. Roof structure: rafters or trusses used to support the roof. Sheathing or Deck: the boards or sheet material fastened to roof rafters. Underlayment: water resistant material installed between the roof deck and the roof covering. Flashing: used to help divert water. Shingles: outermost part of the roof protecting your home against the elements. Choosing the right shingle for your home is an exercise in function, durability and personal preference. Here’s where you get a chance to add some personality to your home’s exterior. Wood or shakes: These are usually made from cedar or redwood and can be costly to install and repair. 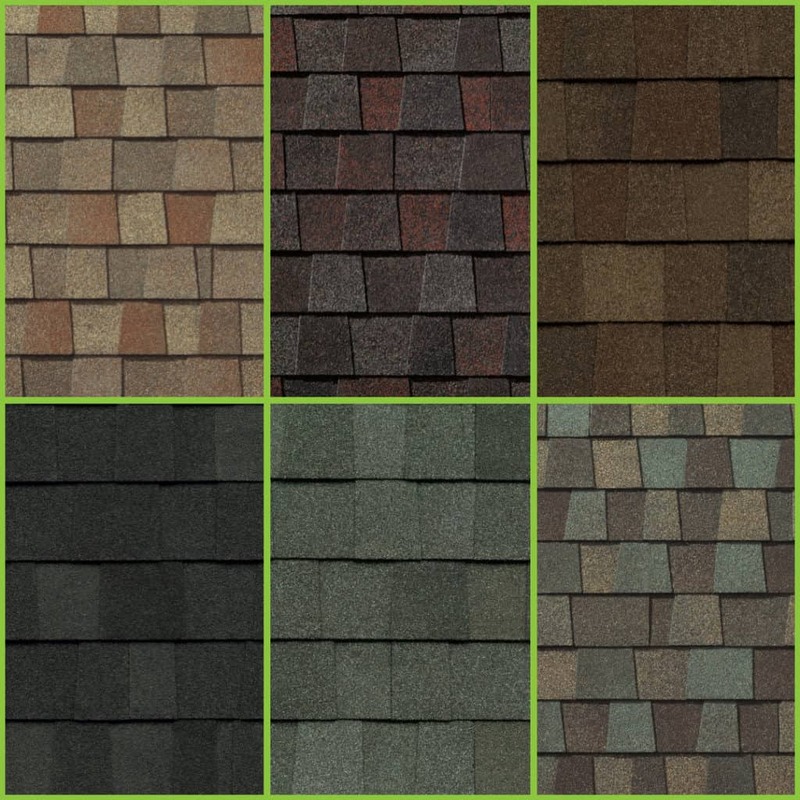 While their look is more coveted as they age, the product is more flammable than asphalt shingles and can be susceptible to mold and mildew. Tile: often found in Spanish-style homes, tile is a heavy product and specific structure requirement are needed to carry the load. Metal: light-weight and durable, metal roofs can be noisy to some in a rainstorm and can peel and chip if not installed correctly. Asphalt: an overwhelming popular choice for its longevity and performance, asphalt shingles offer a variety of color and pattern choices. For most homeowners, asphalt shingles for their durability, cost and warranty are the best bet. 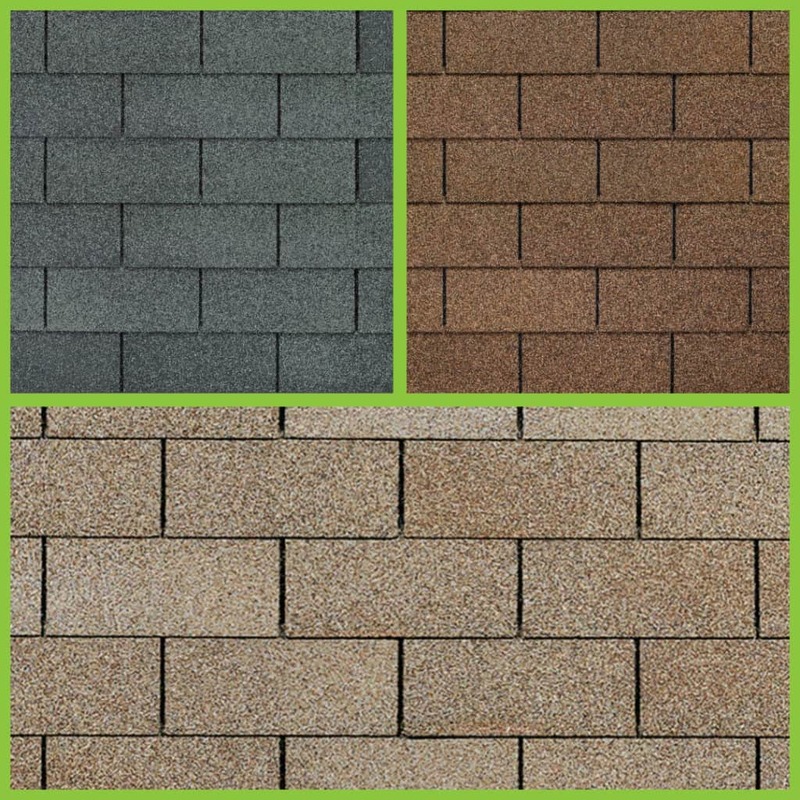 You can get asphalt shingles in a standard 3-tab or architectural version. A 3-tab shingle is aptly named for its 3-tab pattern. They are an entry level shingle and rated for up to 70 mph wind. That can affect the amount of after installation upkeep and repair. And 3-tab shingles carry a shorter product manufacturer warranty of up to 25 years. An architectural shingle is installed in two asphalt shingle strips laminated together. This gives it a higher wind rating and longer lifespan, usually double that of the 3-tab shingle product. Match your house style: traditional or modern; painted or bricked? Curb appeal: neutral colors keep your house current. Determine any limitations from local ordinances: your homeowner’s association may have rules on style and color. 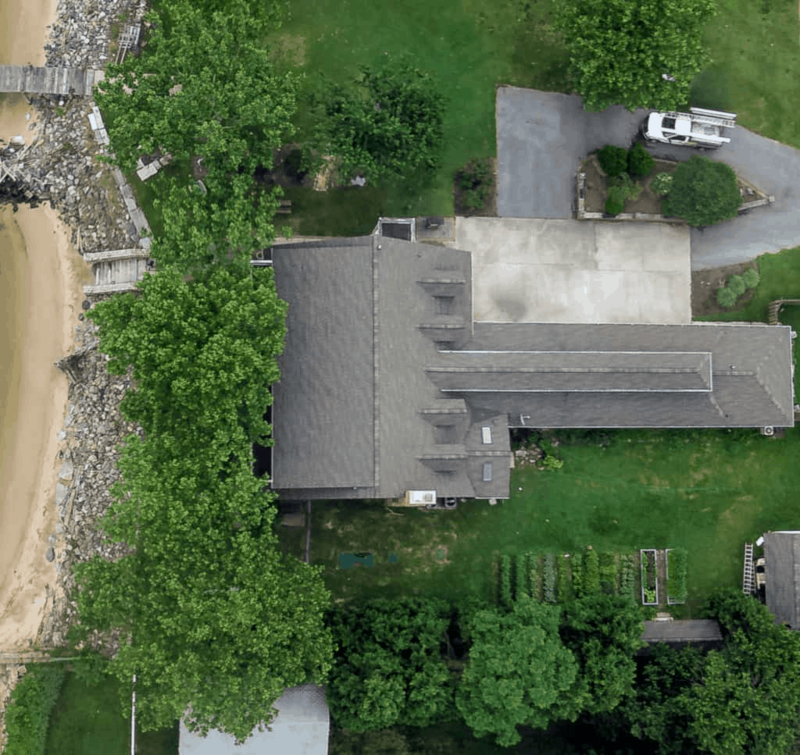 Take a drive: find other roofs you may like to get ideas on color and style. Browse the colors available at Thompson Creek to find the one that best says HOME to you. 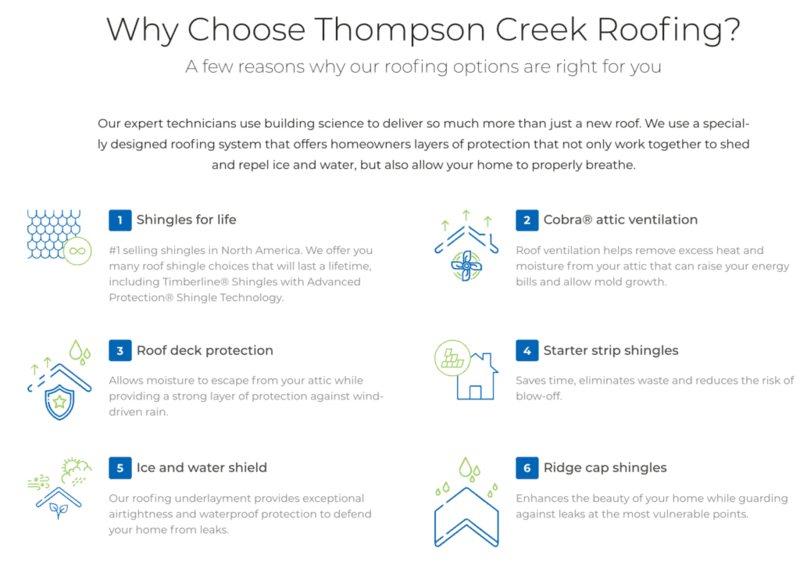 Get a free quote today from our Thompson Creek roofing experts. Together we will help you choose the roof that right for you offering you layers of protection for your biggest investment- your home. Call Thompson Creek at 888-696-7105 for a no-obligation quote today.